Canada has made a commitment for many years to the study of AI at universities across the county, and today robust business incubation programs supported by Canada’s state and regional governments work to transform research into viable businesses. This AI ecosystem has produced breakthrough research and is attracting top talent and investment by venture capital. Here is a look at a selection of Montreal- and Toronto-based AI startups. TandemLaunch is a Montreal-based technology transfer acceleration company, founded in 2010, that works with academic researchers to commercialize their technological developments. CEO and General Partner Helge Seetzen was the founder and directs the company’s strategy and operations. TandemLaunch has raised $29.5 million since its founding, according to CrunchBase. The firm has spun out more than 20 companies and has been recognized for supporting women founders. Seetzen was a successful entrepreneur who co-founded Sunnybrook Technologies and later BrightSide Technologies to commercialize display research developed at the University of British Columbia. BrightSide was sold to Dolby Laboratories for $28 million in 2007. TandemLaunch provides startups with office space, access to IT infrastructure, shared labs for electronics, mechanical or chemical prototyping, mentoring, hands-on operational support and financing. Other companies in the TandemLaunch portfolio include: Kalepso, focused on blockchain and machine learning; Ora, offering nanotechnology for high-fidelity audio; Wavelite, aiming to increase the lifetime of wireless sensors used in IoT operations; Deeplite, providing an AI-driven optimizer to make deep neural networks faster; Soundskrit, changing how sound is measured using a bio-inspired design; and C2RO, offering a robotic SaaS platform to augment perception and collaboration capabilities of robots. BenchSci offers an AI-powered search engine for biomedical researchers. Founded in 2015 in Toronto, the company recently raised $8 million in a series A round of funding led by iNovia Capital, with participation including Google’s recently-announced Gradient Ventures. BenchSci uses machine learning to translate both closed-and open-access data into recommendations for specific experiments planned by researchers. The offering aims to speed up studies to help biomedical professionals find reliable antibodies and reduce resource waste. In July 2017, Google announced its new venture fund aimed at early-stage AI startups. In the year since, Gradient Ventures has invested in nine startups including BenchSci, the fund’s first known health tech investment and first outside the US. BenchSci told VentureBeat is tripled its headcount last year and plans to add 16 new hires throughout 2018. 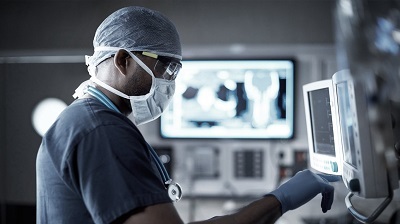 Imagia is an AI healthcare company that fosters collaborative research to accelerate accessible, personalized healthcare. Founded in 2015 in Montreal, the company in November 2017 acquired Cadens Medical Imaging for an undisclosed amount, to accelerate development of its biomarker discovery processes. Founded in 2008, Cadens develops and markets medical imaging software products designed for oncology, the study of tumors. Venture-backed Imagia acquired Cadens Medical Imaging. Ross Intelligence is where AI meets legal research. 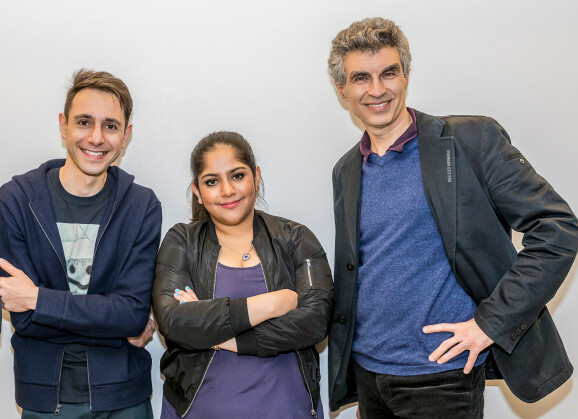 The firm was founded in 2015 by Andrew Arruda, Jimoh Ovbiagele and Pargies Dall ‘Oglio, machine learning researchers from the University of Toronto. Ross, headquartered in San Francisco, in October 2017 announced an $8.7 million Series A investment round led by iNovia Capital, seeing an opportunity to compete with the legal research firms LexisNexis and Thomson Reuters. The platform helps legal teams sort through case law to find details relevant to new cases. Using standard keyword search, the process takes days or weeks. With machine learning, Ross aims to augment the keyword search, speed up the process and improve the relevancy of terms found. “Bluehill [Research] benchmarks Lexis’s tech and they are finding 30 percent more relevant info with Ross in less time,” stated Andrew Arruda, co-founder and CEO of Ross, in an interview with TechCrunch. Ross uses a combination of off-the-shelf and proprietary deep learning algorithms for its AI stack. The firm is using IBM Watson for some of its natural language processing as well. To build training data, Ross is working with 20 law firms to simulate workflow example and test results. Ross has raised a total of $13.1 million in four rounds of financing, according to Crunchbase. The firm recently hired Scott Sperling, former head of sales at WeWork, as VP of sales. In January, Ross announced its new EVA product, a brief analyzer with some of the power of the commercial version. Ross is giving it away for free to seed the market. The tool can check the recent history related to cited cases and determine if they are still good law, in a manner similar to that of LexisNexis Shepard’s and Thomson Reuters KeyCite, according to an account in LawSites. For more information, go to Ross Intelligence. Phenomic AI is developing deep learning solutions to accelerate drug discovery. 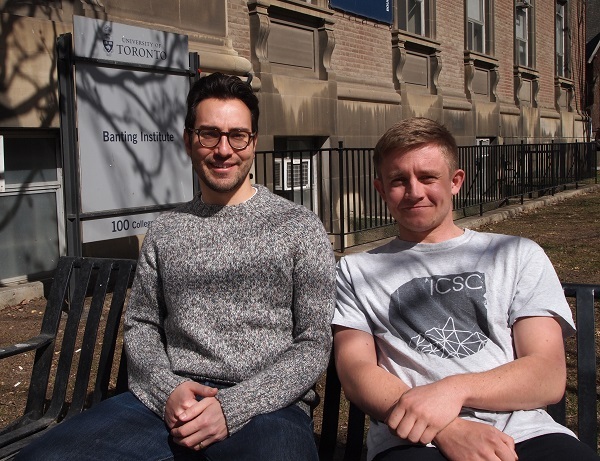 The company was founded in Toronto in June 2017 by Oren Kraus, from the University of Toronto, and Sam Cooper, a graduate of the Institute of Cancer Research in London. The aim is to use machine learning algorithms to help scientists studying image screenings to learn which cells are resistant to chemotherapy, thus fighting the recurrence of cancer in many patients. The AI enables the software to comb through thousands of cell culture images to identify those responsible for being chemo-resistant. Cooper is working towards his PhD with the department of Computational Medicine at Imperial College, London, and also with the Dynamical Cell Systems team at the Institute of Cancer Research. His research focuses on developing deep and reinforcement learning solutions for pharmaceutical research. An early research partner of Phenomic AI is the Toronto Hospital for Sick Children, in a project to study a hereditary childhood disease. The company has raised $1.5 million in two funding rounds, according to Crunchbase. Learn more at Phenomic AI. Erudite.ai is marketing ERI, a product that aims to connect a student who needs help on a subject with a peer who has shown expertise in the same subject. The company was founded in 2016 in Montreal and has raised $1.1 million to date, according to Crunchbase. The firm uses an AI system to analyze the content of conversations and specific issues the student faces. From that, it generates personalized responses for the peer-tutor. ERI is offered free to students and schools. Erudite.ai is competing for an IBM Watson XPrize for Artificial Intelligence, being one of three top 10 teams announced in December, from 150 entrants competing for $5 million in prize money. President and founder Patrick Poirier was quoted in The Financial Post on the market opportunity, “Tutoring is very efficient at helping people improve their grades. It’s a US $56 billion market. But at $40 an hour, it’s very expensive.” Erudite.ai is giving away its product, for now. The plan is to go live in September and host 200,000 students by year-end. By mid-2019, the company plans to sell a version of the platform to commercial tutoring firms, to help them speed teaching time and reduce costs. Keatext’s AI platform interprets customers’ written feedback across various channels to highlight recommendations aimed at improving the customer experience. The firm’s product is said to enable organizations to audit customer satisfaction, identify new trends, and keep track of the impact of actions or events affecting the clients. Keatext’s technology aims to mimic human comprehension of text to deliver reports to help managers make decisions. 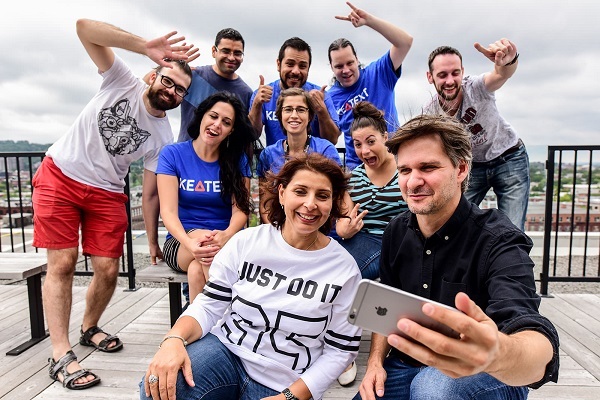 Keatext Team, founder Narjes Boufaden in foreground. The company was founded in 2010 in Montreal by Narjes Boufaden, first as a professional services company. From working with clients, the founder identified a gap in the text analytics industry she felt the firm could address. In 2014, Keatext began offering a SaaS product offering. Boufaden holds an engineering degree in computer science and a PhD in natural language processing, earned with the supervision of Yoshua Bengio and Guy Lapalme. Her expertise is in developing algorithms to analyze human conversations. She has published many articles on NLP, machine learning, and text mining from conversational texts. Founded in 2013 in Montreal, Dataperformers is an applied research company that works on advanced AI technologies. The company has attracted top AI researchers and engineers to work on Deep Learning models to enable E-commerce and FinTech business uses. Calling Dataperformers “science-as-a-service,” co-founder and CEO Mehdi Merai stated, “We are a company that solves problems through applied research work in artificial intelligence,” in an article in the Montreal Gazette. Among the first clients is Desjardins Group, an association of credit unions using the service to analyze large data volumes, hoping to discover hidden patterns and trends. Dataperformers is also working on a search engine for video called SpecterNet, that combines use of AI and computer vision to find specific content. Companies could use the search engine to identify videos where their products appear, then market the product to the video’s audience. The company is using reinforcement learning to help the video search AI to learn on its own. Botler.ai was founded in January 2018 by Ritika Dutt, COO, and Amir Moraveg, CEO, as a service to help victims of sexual harassment determine whether they have been violated. The bot was created following a harassment experienced by cofounder Dutt. She was unsure how to react after the experience, but once she researched the legal code, she gained confidence. “It wasn’t just me making things up in my head. There was a legal basis for the things I was feeling, and I was justified in feeling uncomfortable,” she stated in an account in VentureBeat. The bot uses natural language processing to determine whether an incident could be classified as sexual harassment. The bot learned from 300,000 court cases in Canada and the US, drawing on testimony from court filings, since testimony aligns most closely with conversational tone. The bot can generate an incident report. This is Botler.ai’s second product, following a bot made last year to help people navigate the Canadian immigration system. Yoshua Bengio of MILA is an advisor to the startup.